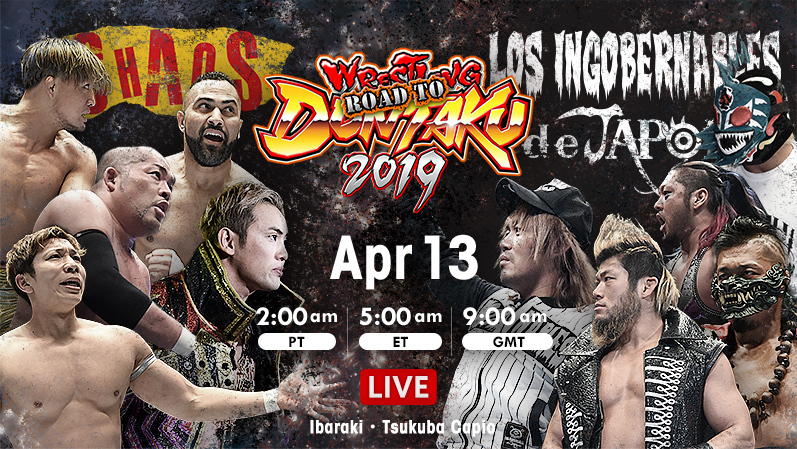 I understand that they are trying to use these FaceBook Live pre-show things to get people to sign up to Club WWN to see the rest of the show so I understand the focus on trying to recruit WWE-only fans who might be curious and thus concentrating on the appearances of Ali and Ohno (though, oddly, I don't think the Street Profits were mentioned at all)... but for the love of G-d, don't point out that fans "might recognize" one of these guys from a match he had on 205 Live against Jack Gallagher, because anyone who remembers this guy from that match will see him as nothing but a jobber who can't go on a "WWE level" and you are essentially burying your entire product by association. A very good opener, telling the power vs speed story. Apparently Henry's promo last night that I had trouble understanding was a promo on both Ohno AND Aichner. He is angry at Aichner (and the Street Profits, and others) because he doesn't think they have earned their spots in EVOLVE, and is angry at Ohno for thinking he could come back from NXT and just reclaim his spot as leader of the locker room. The idea is pretty clearly for him to be a heel, but with wiggle room to quickly revert back by having the NXT guys earn his respect. This is a smart move because Henry now gives fans who are unhappy about the NXT guys swooping in and taking the titles an outlet to cheer for rather than getting annoyed and leaving, and Henry is a good choice for the role due to being a late-breaking indy grinder with no WWE connection, and being the tag partner of the much-beloved J.D. Drake, who has a similar background. Another reason Henry is a good choice for this role is the fact that despite being a babyface everywhere else, he usually gets heel reactions from the Chicagoland crowd due to his heel work in Freelance Wrestling, which they have played up a bit, so having him be more heelish here meant you had a crowd that would have an easier time booing him. That being said, I'm not yet ready to officially call this a heel turn because Henry (for the moment) feels more like a babyface very unhappy with a decision management has made, rather than an outright heel like Drew Galloway did in 2016-2017 (notably, Henry has been frustrated but hasn't done anything morally wrong yet, as opposed to Galloway who began his anti-WWE/Evolve relationship angle by kicking Johnny Gargano in the nads). In addition to all of that, when this match was signed, Aichner had offered to put his Evolve Championship on the line, but WWN officials wouldn't allow it, citing their general rule that the Evolve Title and WWN Title not be defended on the same show unless it is one of the biggest shows of the year. So yeah... Anthony Henry is not feeling particularly happy with EVOLVE management right now. All of this made it natural for Henry to start this match off by charging right at Aichner, and to play the structural role of the heel. He worked over Aichner's knee and Aichner sold it very well. He did one or two big spots where he had to run or jump, but they were always brief and far between, and he always sold his knee even more afterwards, really making it feel like adrenaline rather than just forgetting to sell so you can do a big spot. One little thing they did that I absolutely loved was that when Aichner was going for a superplex, rather than counter it with the usual punches to the stomach or ribs, Henry started clubbing away at Aichner's knee instead. They had some convincing nearfalls in here, but otherwise this match (unfortunately) nothing special. Even the pre-match stuff between Drake and Theory really didn't lead to too much once the first few minutes had passed. Drake retained by pinning Bravado so the door is open for a rematch, but this match here tonight was solid but completely forgettable. So Barrett Brown beats BSHP KNG in a preliminary match last night, but it's KNG who gets a spot on the main card tonight while Brown is still wrestling in preliminaries? How does that make any sense? 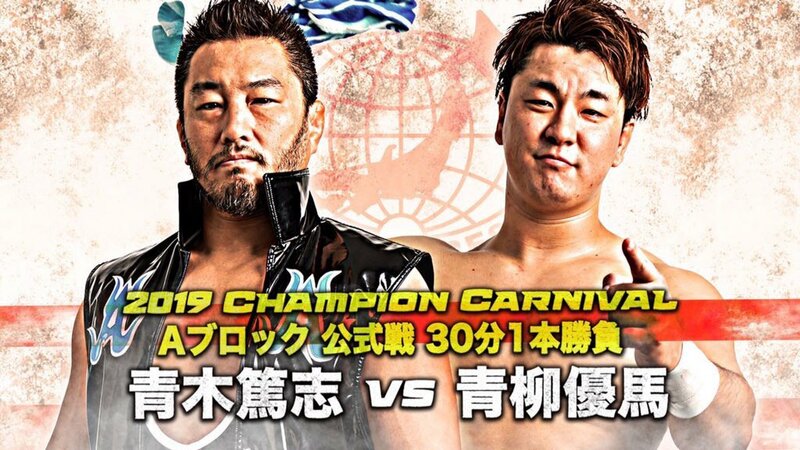 I know this is just a post-intermission popcorn match, but still... the other one was labeled as a preliminary match and this one wasn't and the whole kayfabe point of the preliminary matches is that it is guys trying to get wins to earn their ways onto the main card, so having the loser wind up on the main card while the winner doesn't hurts the credibility of the entire concept. They all did stuff for a while as Lenny Leonard pimped the WWN training school, where Matt Sydal is the head trainer. Considering how much they talked up the fact that Cyrus Satin had moved to Florida to continue his training there and has been getting opportunities in ACW because of it, I figured he would get the win, but they gave it to hometown guy Matt Knicks instead. KNG didn't do anything stupid tonight so that's a plus for him, though once again Mike Fierro is the guy who impressed me the most. He really knows how to use his size well. Matches that "can only be seen in EVOLVE" (read as: WWE contracted talent vs. indy guys) are apparently the new thing they're pushing. Ohno stole Ishii's stupid "I block your punches with my face" spot, which hopefully does not become a regular feature of his matches. 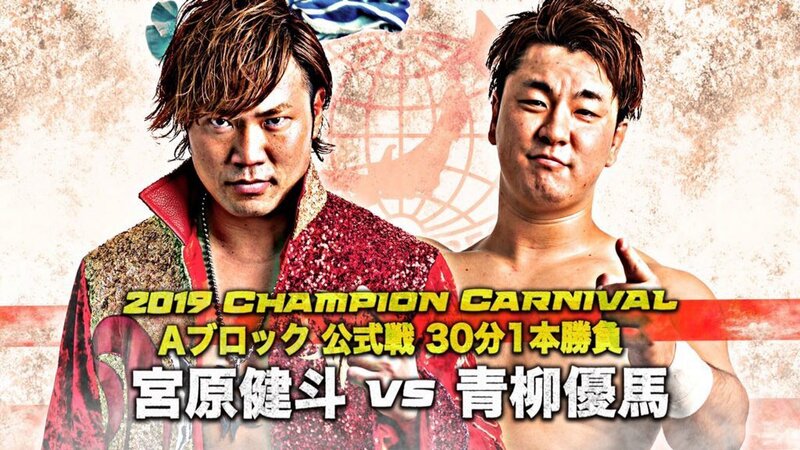 Other than that these two had a GREAT slugfest, with the added stories of Ohno's ability to use his size to his advantage and Strickland working over Ohno's knee. Ohno just kind of stopped selling at the end, which was not the kind of mistake I would expect from him. POST-MATCH SEGMENT - Good. Anthony Henry came out and said he wants apologizes to Ohno for his comments last night. He then did a much better job of articulating his frustrating (as explained earlier in this review) than he did last night. He then very respectfully asked Mr. Ohno for a match, at which point Ohno noted that Henry had not actually apologized yet. Henry then apologized not just for his rudeness to Ohno last night, but also to Fabian Aichner, and also to referee Brandon Toley for pushing him earlier tonight. Ohno said he understood where Henry was coming from and would see if he could get them booked against each other. Lenny Leonard then noted that Henry's frustrations with the NXT guys coming into EVOLVE actually mirror Ohno's frustrations with indy guys (many of who are from EVOLVE) coming into NXT and being given the opportunities he feels he deserves. Interesting. Another excellent outing for all involved. Ruff did not look at all out of place with the big boys, and he and Fox were a very fun babyface team. Ruff was the babyface in peril and played his part very well, and liked some of the mirror image offense that he and Fox hit as an artistic nod to the fact that he is one of Fox's students. POST-MATCH SEGMENT - Fine. The Street Profits cut a good celebratory babyface promo (Ford is from Chicago), and then we got the dance-off that everyone knew was inevitable with the Street Profits and The Skulk in the same place. I popped for the "ALI, BOMA YE!" chants. Then I realized that Ali was wrestling Darby Allin, and got scared because Darby Allin is the kind of guy who seems perfectly willing to try a spot that might result in his own death. 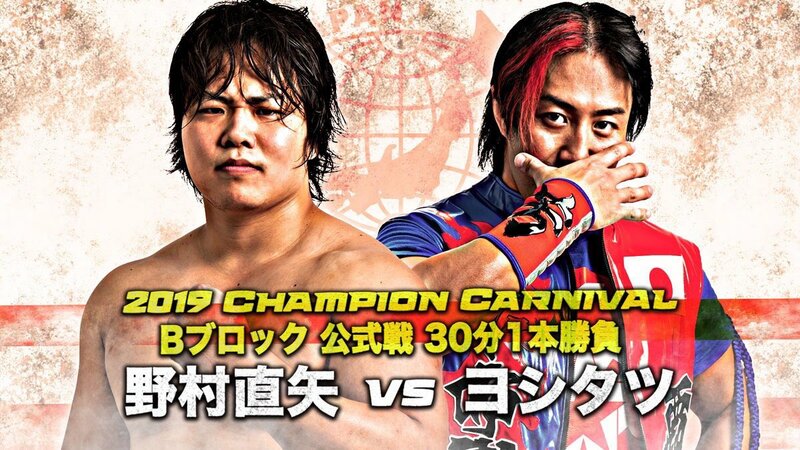 They kept calling this a "dream match" but I never thought of it that way. These guys are similar in their in-ring style (both are never say die babyfaces who win their matches via high risk maneuvers and flash pins), but that is a style that seems to me to require someone who can be a real antagonist and provide a daunting challenge to overcome, as opposed to having both guys down and selling a bunch. Neither of them are well equipped to play the structural role of the heel. I think that was part of the problem with this match. The other problem was that the match ended pretty abruptly after it had just started to really get going. There was a story of Darby's head getting worked over, but it felt like Darby passed out in the Koji Clutch way too early. POST-MATCH SEGMENT - Meh. Ali put Darby over and said he'd give him a shot at the Cruiserweight Title if he won the belt at Survivor Series. This, plus some other things that Ali said came off as... condescending isn't quite the right word because Ali wasn't being condescending to Darby at all, but let's just say it did have me a little worried about the way EVOLVE is allowing itself to be portrayed in this relationship with WWE. Even with the very open nature of Ali's phrasing- he told Darby that if Darby keeps working hard "you will get to where you need to be," which could have meant "Evolve Champion" just as much as it could have meant "signed by WWE" or anything else- felt like it meant "signed by WWE" simply because it was coming from a WWE guy. Darby was very upset with himself for losing and didn't really want to listen to Ali or talk to anyone, which was good. It also meant that Ali got to give the "thanks for coming speech" show-closing speech. It makes perfect sense for him to do so because he's a Chicago native and having his family there was nice and he put over indy wrestling, but the fact that he is a WWE guy doing it just made it feel a little wrong to me. 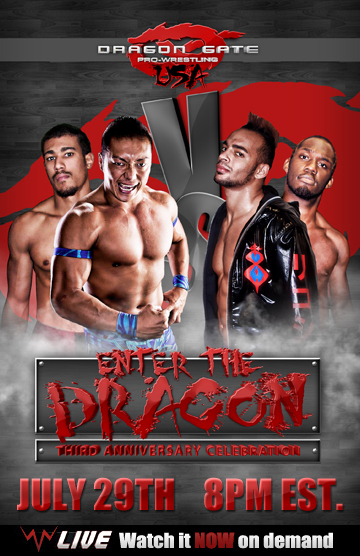 Maybe I would have been fine with Ohno doing it because of his EVOLVE pedigree, but even a guy like Ali who worked Chicago indies for years left a bad taste in my mouth as the guy getting to be in the big babyface show-closing spot at an EVOLVE show. 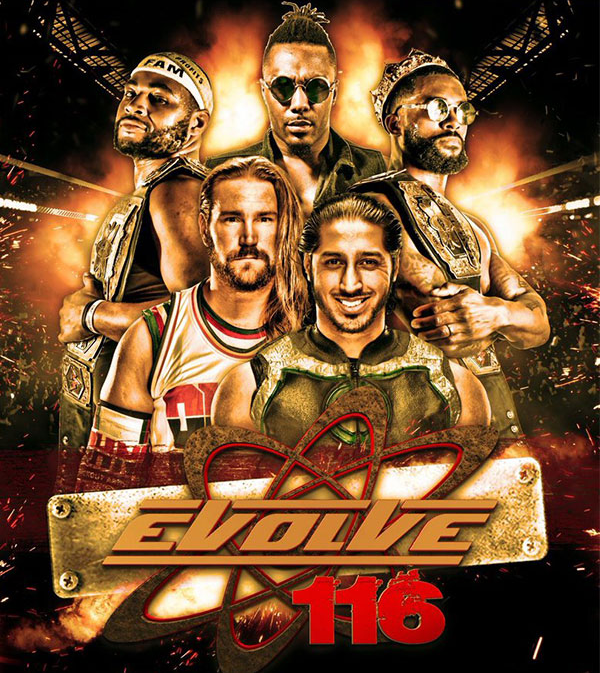 This was another pretty great show from EVOLVE, even if the main event and one of the title matches didn't quite deliver. I liked most of the booking (with a few little things, like the Barrett Brown/BSHP KING thing still bugging me) and I thought the WWE guys performed well, but at the same time, some of the stuff that was said has kind of rubbed me the wrong way about this relationship. A chunk of it is self-inflicted wounds, as I feel that it's really EVOLVE's portrayal of themselves rather than the actual results of the matches that make them feel like a WWE feeder-league, but as I said above, so of the stuff Ali said just rubbed me the wrong way because it was a WWE guy saying it, no matter how open and diplomatically it was worded.